On Wednesday, May 17, Atsuko Fish, U.S.-Japan Council Board Member and Chair of its New England chapter, hosted a luncheon with a talk by Yoshikazu Watanabe on the topic of “Japan and Two Big Countries: China and the U.S.” Watanabe is the retired Lieutenant General of the Japan Ground Self Defense Force (JGSDF) and currently a senior fellow at the Harvard Asia Center. The talk was based on his book 「米中戦争 そのとき日本は」recently published in Japan. Watanabe explored Japan’s national security and the current sensitive relationships with other East Asian countries. With the Olympics taking place in 2020, Watanabe shared his perspectives on how Japan could benefit greatly from preparing for different types of threats. The event attracted over 20 people including Shinju Fijihira, Executive Director of the Harvard University Weatherhead Center, Yumi Kuwana, Founder of the Global Citizens Initiative, and Paul Niwa, Chair of the Emerson College Journalism department. 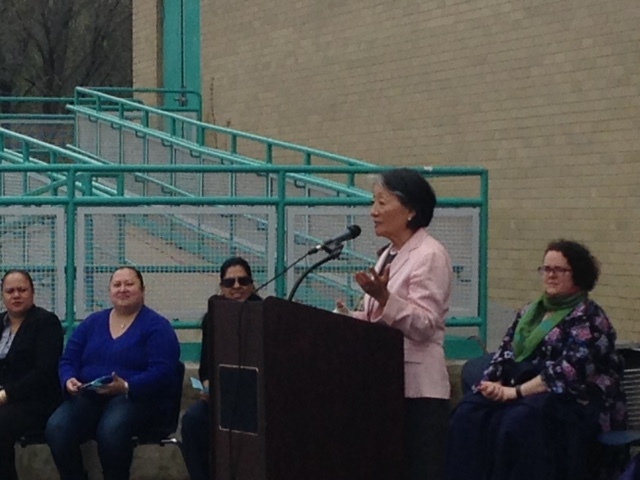 Atsuko Fish, JWLI founder, attended this year’s cherry tree planting ceremony at the McCormack Middle School in the Dorchester area of Boston on April 28th. 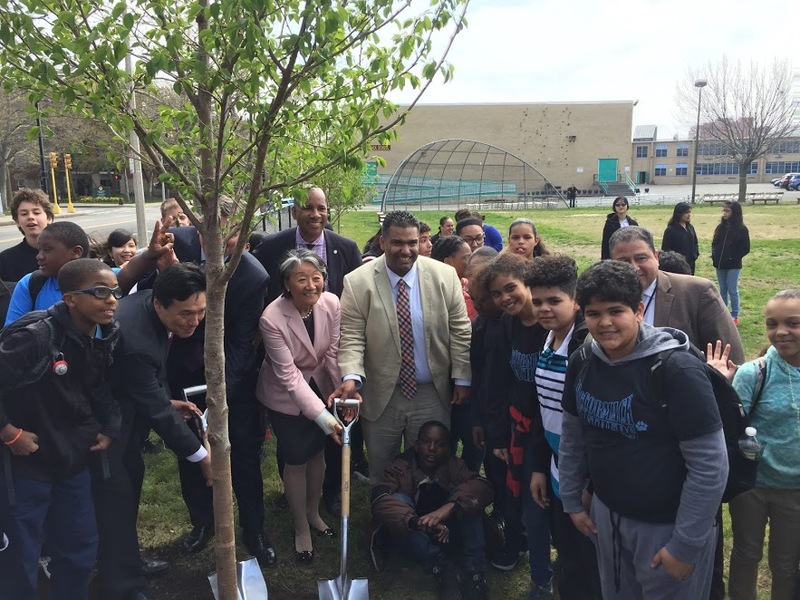 It was Fish Family Foundation’s 6th year to give five cherry trees to a school within the Boston Public Schools (BPS). Japanese is taught at these six schools. 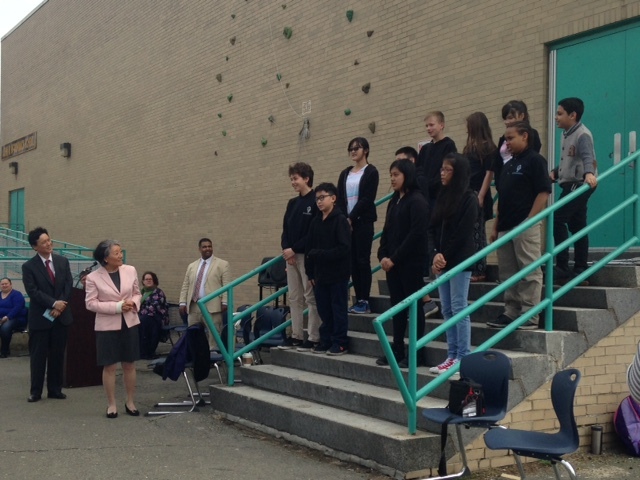 The students at the McCormack Middle School welcomed Atsuko and other Foundation staff by singing songs in Japanese. 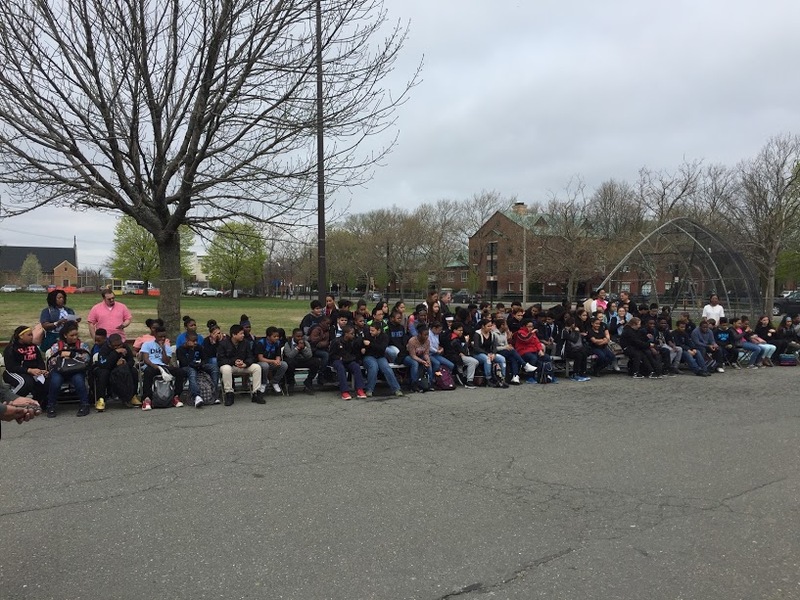 Special thanks are due to the Consulate-General of Japan in Boston and ZEN Associates, Inc for their support, as well as Tim Nagaoka, the BPS teacher for continuing to teach Japanese in Boston and to strengthen the friendship between Boston and Japan!